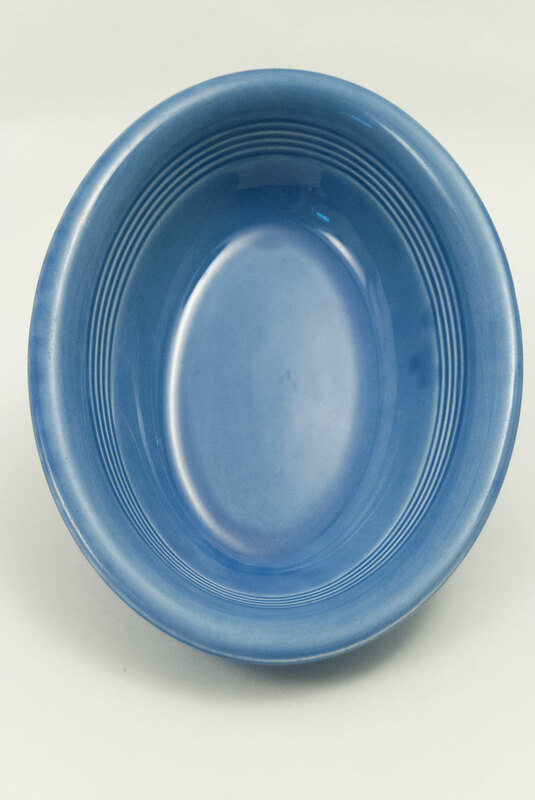 Circa 1936-1942: The Harlequin oval baker, although part of the original line, was discontinued relatively early during 1945. 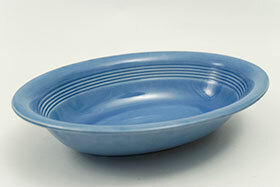 Modeled by Arthur Kraft and part of the initial 16 piece Harlequin line, the oval baker sports a profusion inside modeled lines. 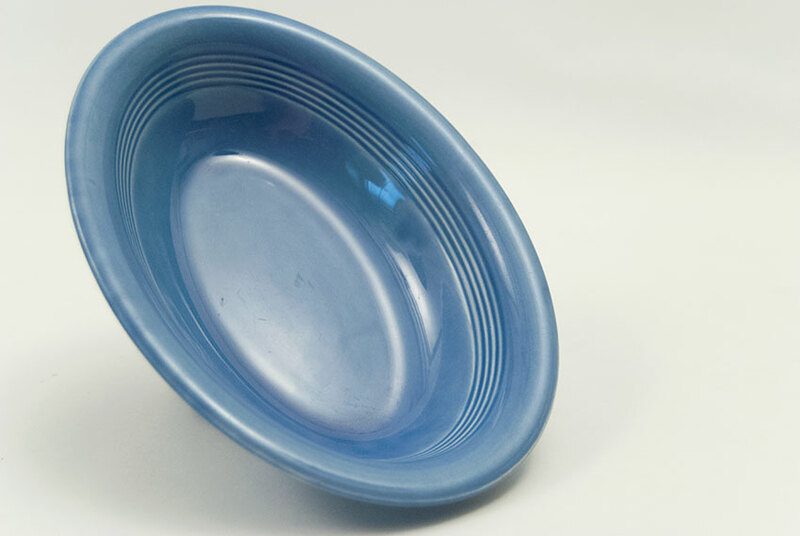 This example in the original mauve was only produced for four-six years and will prove hard to find. In excellent, undamaged condition. 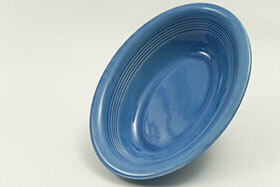 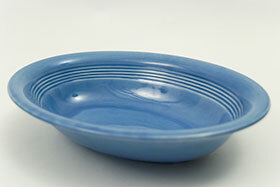 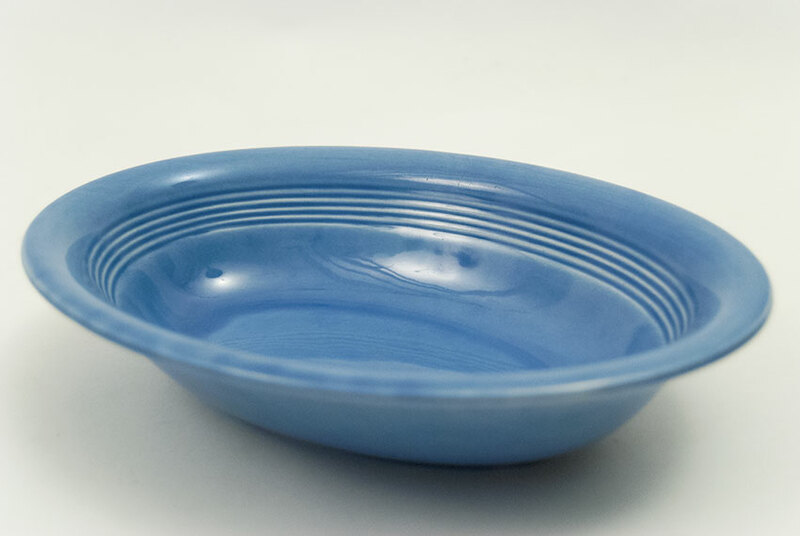 Please note glaze variation on this mauve blue example, very typical of the 1930s glazes. 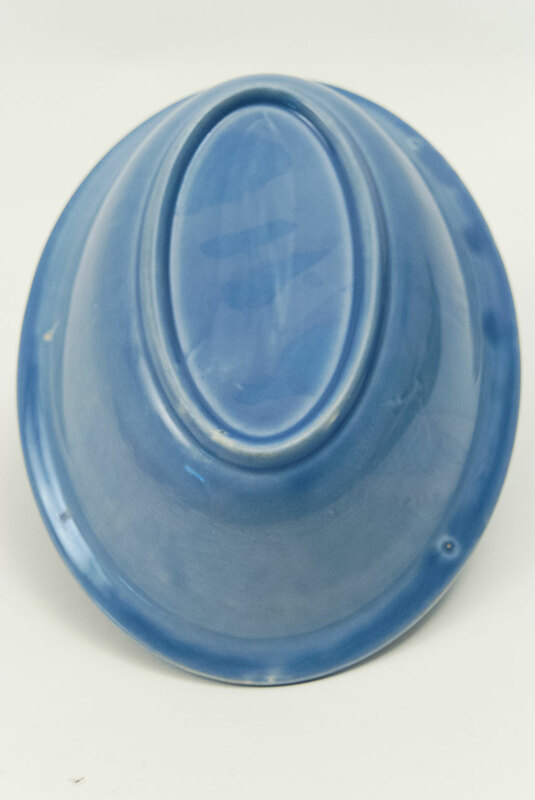 Measures 9 1/2"w x 2"h.